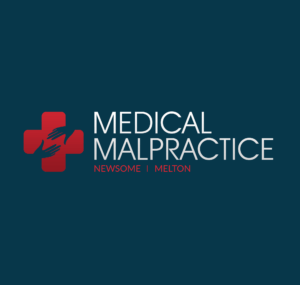 Medical Malpractice Help » Lawyer » Medication Errors Malpractice Lawyer » Can You Sue For Fen Phen Side Effects? Fen Phen was a popular weight loss medication that was extensively used in the late 1990s. The Food and Drug Administration approved this medication as an appetite suppressant and for a short-term treatment of obesity. The medication did not receive approval for use over the long-term and contains phentermine and fenfluarmine, ingredients that were never studied when used together. Fen Phen was no longer made available for use after some women began developing heart difficulties. As a result of this revelation, other women who used the medication were evaluated for the same types of heart problems and were diagnosed with similar conditions. This resulted in a class-action lawsuit and numerous other lawsuits filed individually. Users of the Fen Phen weight loss medications Pondimin and Redux were diagnosed with heart valve abnormalities. While this condition does not produce noticeable symptoms when it first develops, the results over the long-term can become quite serious. The heart valve may become tightened or weakened over an extended period of time and diseases of the lungs and heart frequently occur. This can result in harmful consequences, including chest pain, shortness of breath, leg swelling and chronic fatigue. Individual lawsuits and class action lawsuits were filed once these findings were made known. American Home Products Corp., which is now known as Wyeth Pharmaceuticals, has been at the center of these proceedings. Compensation for medical bills, refunds for the money spent on these types of weight loss drugs and compensation for being diagnosed with specific heart conditions as a result of using Fen Phen are a few examples of successful outcomes associated with these lawsuits. Although Fen Phen was extensively used when it was first developed, the medication was never meant to be used as a long-term treatment. Since it has been misused by numerous physicians and patients for off-label treatments, compensation payments are still being made by American Home Products Corp. Over $21 billion is expected to be lost by the company as payments for litigation fees. Although this is an exorbitant amount of money, it is the view of many that the victims in these cases have paid a much higher price at the expense of their health.